Heilongjiang Hengyuan Food Co., Ltd (also known as Huanan Hengyuan Native Produce Food Co., Ltd.) was established in September 2000 at Huanan County, Province of Heilongjiang, which is the main growing area of the Chinese pumpkin and pinenuts. As a leading manufacturer and exporter, we take immense pride in offering highest quality of Chinese pumpkin seeds, pumpkin kernels, pinenut kernels, sunflower kernels to the whole world. We wake up every day with one mission: bring the best seeds, nuts and kernels to the people that love them! We supply both Organic and Conventional raw products. We can also do drying roasted, roasted & salted, fried of the pumpkin seeds/kernels and sunflower seeds/kernels. 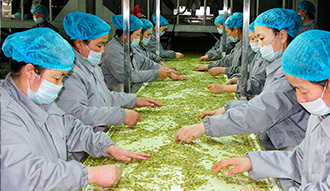 Certified by BRC, HACCP, ISO22000, Kosher and EcoCert, etc., we operate state-of-the-art industry facilities. Over the past 15 years, we have been audited and approved by many of the Fortune 500's biggest food companies and supermarket chains from North America and Europe as their exclusive supplier. This is due to our dedication to the highest standard of food safety and exceptional customer service, which has built us into a fast-paced, rapidly-growing food manufacture and export company. From snacking to baking, sharing our love for pinenut kernels, pumpkin and sunflower seeds is really what keeps us going every day. 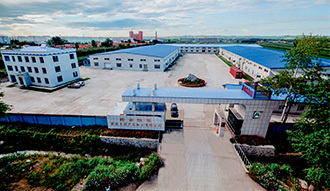 If you are looking for a reliable and top Chinese supplier of these products, please contact us.